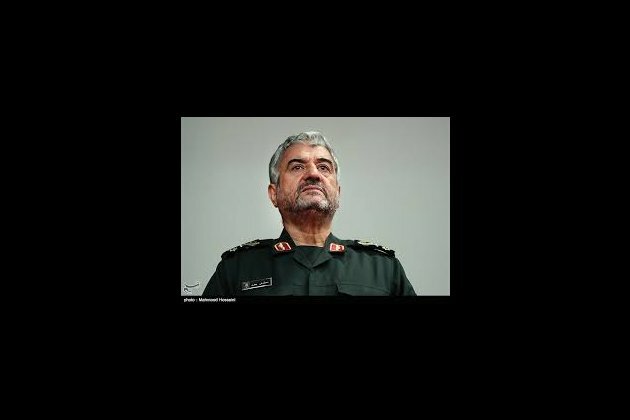 Tehran [Iran], Feb 16 (ANI): Major-General Mohammad-Ali Jafari of the Islamic Republic Guard Corps (IRGC) of Iran on Saturday said that they would avenge the blood of the personnel who lost their lives in the ghastly attack that took place on Wednesday (local time). "We will avenge their blood. If Pakistan doesn't do its duties in fighting terrorism, Iran will fight the terrorist groups organised by regional and extra-regional intelligence services"
He was speaking on the sidelines of the ceremony to commemorate the martyrs of the attack. The Major General slamming the government of Pakistan said that the state should not allow terrorists to use their border areas to organise anti-security moves against Iran. "Inasmuch as the Government of Pakistan knows the location of these elements that are dangerous to Islam and should be accountable for the crimes the terrorist have committed, it is expected that they do their duty with seriousness and not allow the terrorists to use their border areas to organise anti-security moves against Iran," he said. "If Pakistan doesn't do its duties in this regard, Iran, based on the international laws, has the right to counter the adjacent threats in the neighboring countries and will punish the terrorists that are the mercenaries of regional and extra-regional intelligence services." The dastardly terrorist attack took place in Khash-Zahedan sector of Sistan-Baluchistan province in Iran. As many as 23 members of Iran's elite paramilitary Revolutionary Guard Corps force in south-eastern Iran on Wednesday (local time) were killed, according to state media. The explosion took place inside a bus which was ferrying the military personnel in Sistan-Baluchistan province, bordering Pakistan and Afghanistan, CNN reported. The bombing also injured 17 others. The explosion hit the vehicle on a desert road in the province, where the group is known to operate. It came barely two days after Iran marked the 40th anniversary of the 1979 Islamic Revolution.